HEART OF A CORPSE is here! It’s here! 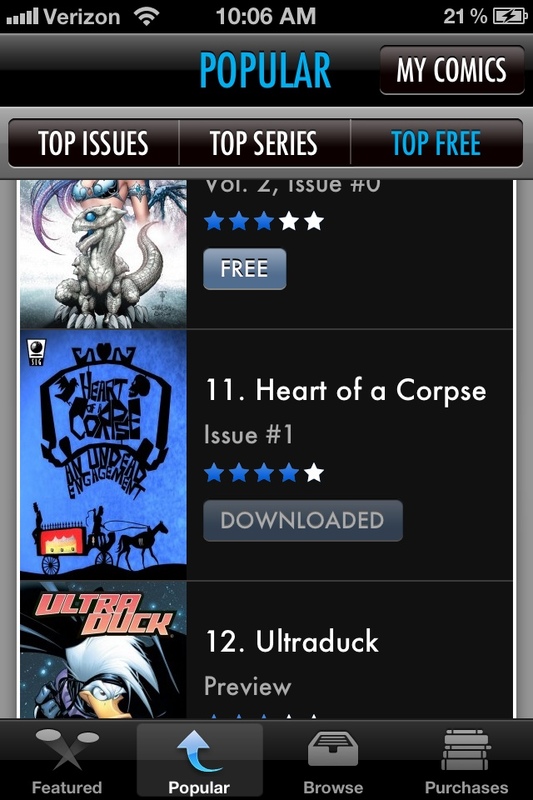 HEART OF A CORPSE, my graphic novel from SLG, is now available in digital form! The first issue is free, with the second part being a paltry 99 cents! You’d spend 99 cents on lil’ ol’ me, wouldn’t you? SLG: Available as a PDF, CBZ or ePub file! comiXology: Download the app for iPhone/iPad, Android and Kindle Fire!